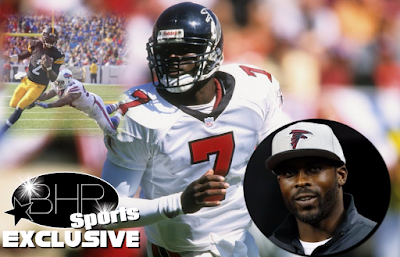 Michael Vick Has Announced He Has Retired From The NFL !!!!! Has Retired From The NFL !!!!! 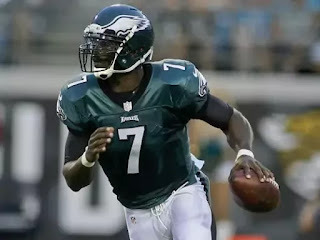 BHR Hollywood Reports........After 13 NFL seasons, quarterback Michael Vick told reporters on Friday he has officially retired, per SportsCenter. I would love to play this year, suit up for another run at it. I still feel like I could play and there is a lot left in the tank. ... Playing another year is very important just for my psyche, just to get it out of my system, to go out with a bang. and powerful left arm, passed for 22,464 yards and 133 touchdowns during his 13 seasons with the Falcons, Eagles, Jets and Steelers. His 6,109 career yards rushing are an NFL record by a quarterback. He did not play this season. Vick says he is "ready to move on to different things in my life and different facets of my life." 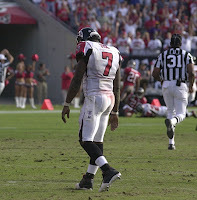 Vick was selected by Atlanta with the No. 1 overall pick in the 2001 draft. He made three Pro Bowl appearances with the Falcons and became the first quarterback in league history to rush for 1,000 yards in a season, going for 1,039 in 2006 with Atlanta. After serving nearly two years in prison for his role in the dogfighting case, Vick never played for Atlanta again. He spent five years with Philadelphia, where he won NFL Comeback Player of the Year honors in 2010, and had backup stints with New York (2014) and Pittsburgh (2015).